It's hard for the government (in any country of the world) to keep pace with Web X.0. 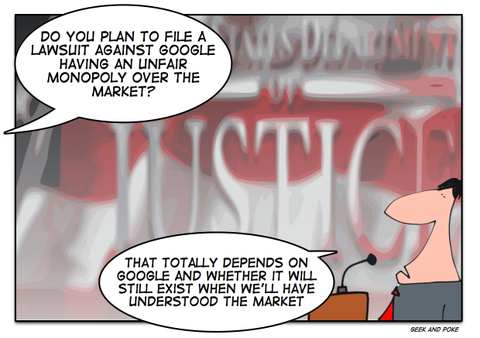 So it's thrilling if Google will wake up the DOJ (see Rough Type). But frankly: who understand what's going on?